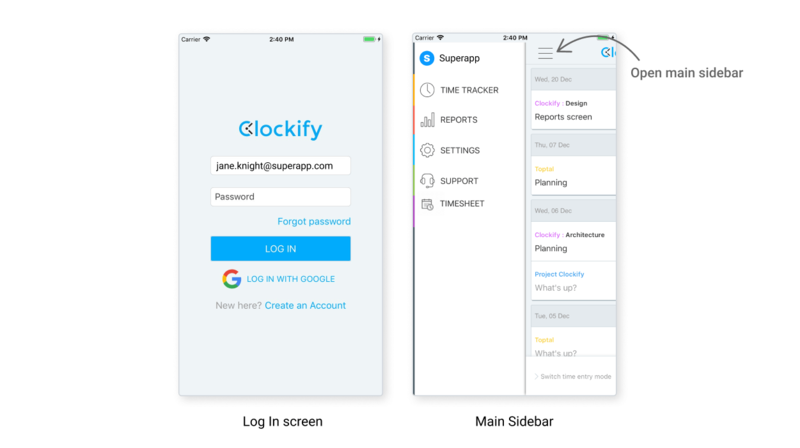 Install Clockify on your iPhone or iPad and track time while on the go. Once you’ve logged in, you’ll be on the Time Tracker screen, where you’ll see your most recent time entries. To navigate to other parts of the app, swipe left to open the main sidebar. 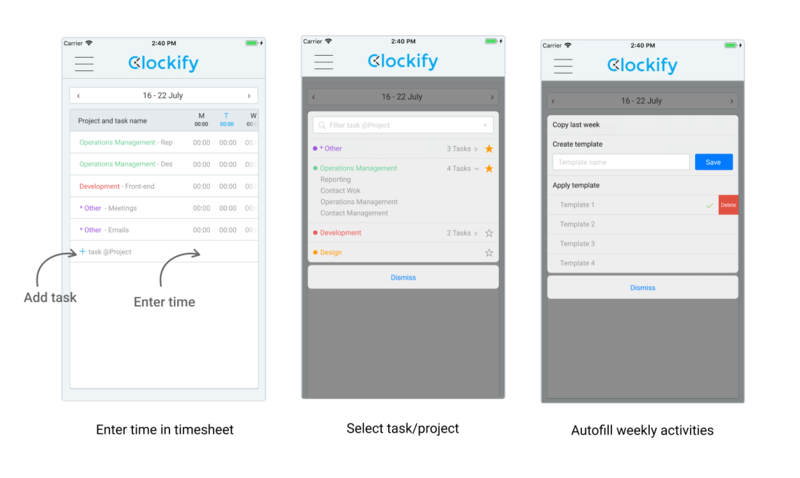 Clockify does an automatic sync every time you perform an action. If you are offline, Clockify will sync as soon as you’re online. If you don’t perform any action, you’ll have to do a manual sync by swiping down from the middle of the screen. You can also continue the timer for an existing time entry by swiping left on the time entry and tapping Continue. Then, a new time entry with the same description, project, client, and tags will be created, and the timer will start ticking for it. You can log how much time you’ve spent on projects for each day in the week in the Timesheet (Timesheet view has to be enabled in workspace settings first). To edit a time entry, simply tap on it from the Time Tracker page. If the timer is running, you can edit details of that time entry by tapping on the timer. Note: regular team members aren’t able to create clients, projects, and tags. Anytime you edit something, Clockify will automatically save the changes and sync data. To delete a time entry, go back to Time Tracker screen, swipe left on the time entry, and tap Delete. 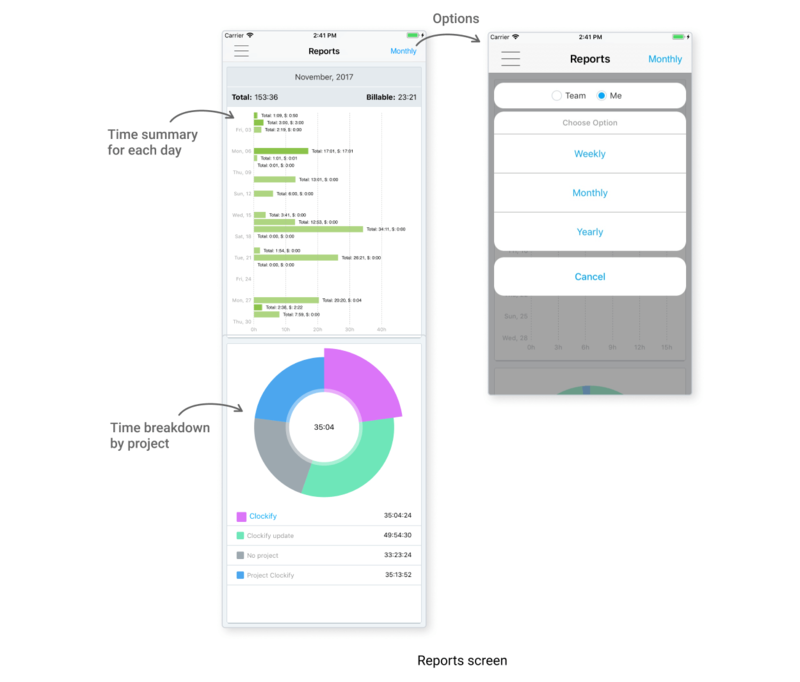 Reports screen shows you how much time you’ve tracked each day and project breakdown. It’s equivalent to Dashboard in the web app. You can swipe left on the report to see data for the previous week/month/year, or right to see data for the next week/month/year. Note: regular team members won’t be able to see the data for the Team if you’ve disabled it in your workspace. 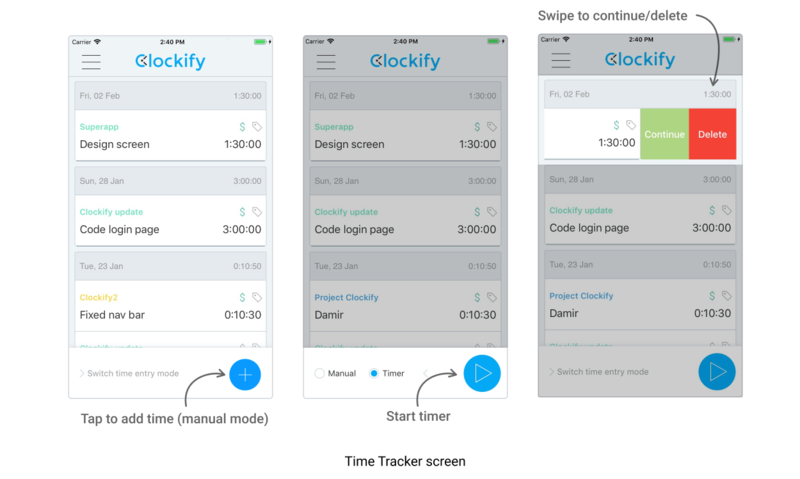 You can track time in Clockify on your iPhone even offline. 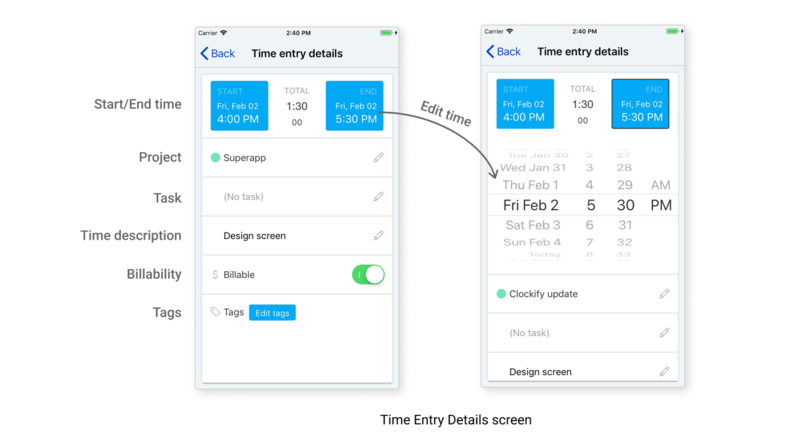 You can regularly create time entries manually or start/stop the timer, and newly created time entries will be saved locally on your phone. When you’re offline, you won’t be able to see your other time entries, only those that were created while you were offline and which haven’t been synced yet. 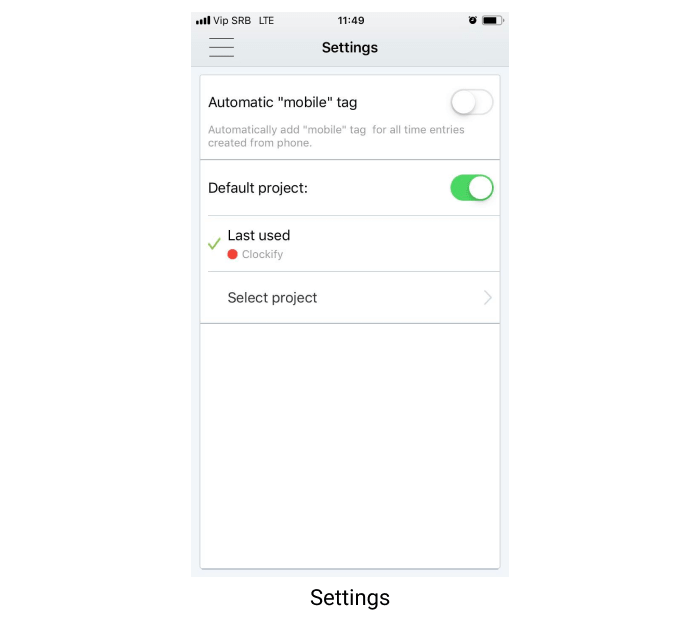 Projects, tasks, and tags are available for selection if they were loaded before you went offline. When you get back online, the app will automatically sync all time entries.